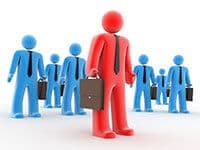 Job Details – Provide full administrative and secretarial support to Managing Director, Coordinate with internal and external parties, Responsible for Visa and Work Permit issue for foreigner staffs, Other tasks as assigned, Assistance to team of company. Thaihosting.asia is a Danish IT-service company focusing on the Internet. Bakuri has since 1997 engaged in software development, management, backup, CMS, shopping and payment systems. We have many customers with many different solutions, all of which must have the best service. Operation and support go hand in hand, and you need to be fresh to handle both. We also have a good tradition for the more technically-based staff can assist in production when there is much run on.